Artist Kelly Kerrigan has created a series of sci-fi paintings with a truly unique twist. 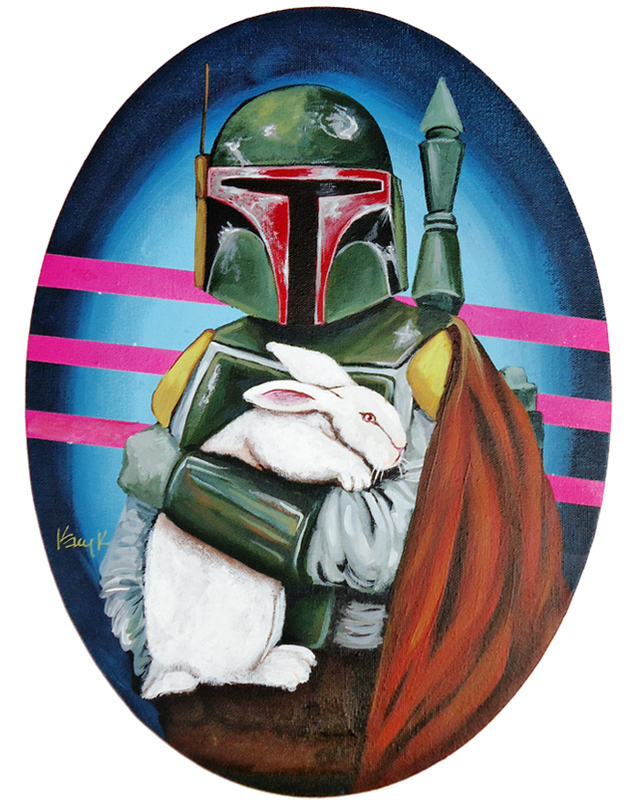 The set of paintings all have a character from Star Wars holding cute and fluffy animals. The idea is truly unique, and definitely makes the Star Wars villains more sympathetic. 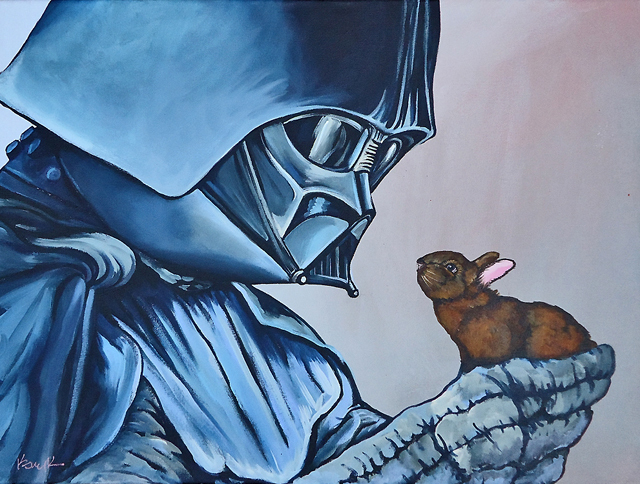 If ever their was a niche that needed to be filled for geeks, Star Wars characters cuddling adorable critters is one that I am happy to know it exists. You can check out the rest of her work on her blog. Written by: Katie Shew at 12:45 p.m.